The story of two Catholic priests who travel to Japan in an attempt to find a missing priest Father Ferreira. They encounter a lot of violence and torture to the people who are seen to be Christians and practicing that faith. 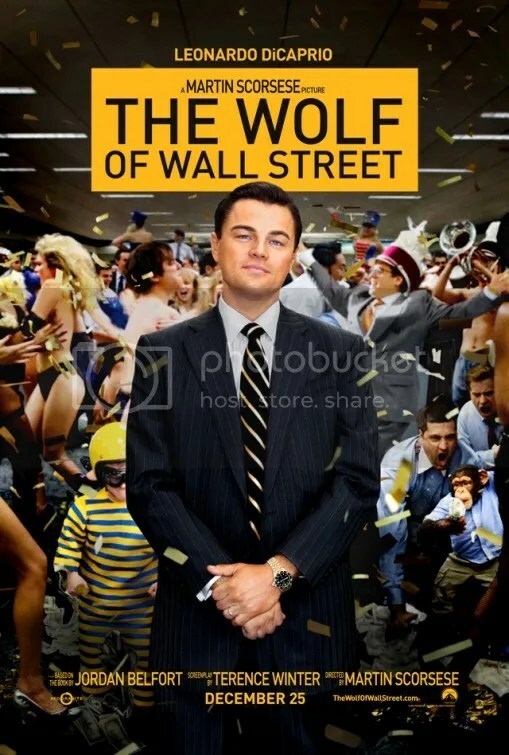 Based on the true story of Jordan Belfort and his rise to becoming a very wealthy stockbroker and living a very extravagant life filled with crime, corruption and the federal government along with plenty of drugs! 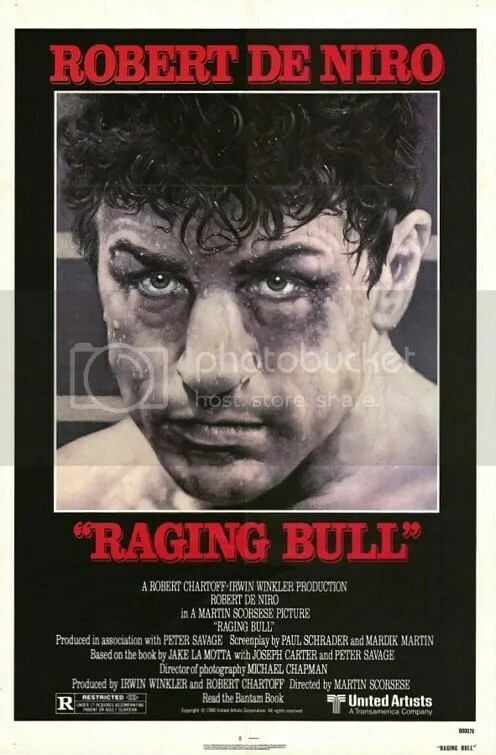 We are taken on the journey of Jake La Motta’s (De Niro) life and seeing how his no-nonsense boxing style transferred to outside of the ring, causing him to push his family away. Being an actor and being attractive at the same time and in some cases being labelled a “pretty boy” can place a lot of extra pressure on the actor. After so long if they are not already showing brilliant acting roles they hit a point when their good looks no longer cut it in the world of film. This could be related to that if they are a young actor their “fan girls” grow up and they are still trying to do the same type of roles, this loses some of their fan base and its either show you can act or the work will dry up and you will slowly be forgotten about. But if they can act and show they can act what a career they will have! Drama is set in 1954, U.S. 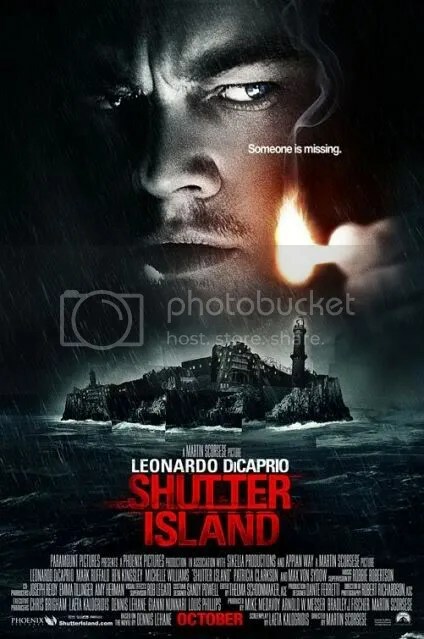 Marshal Teddy Daniels (Leonardo DiCaprio) is investigating the disappearance of a murderess who escaped from a hospital for the criminally insane and is presumed to be hiding on the remote Shutter Island. Some pictures of my favorite actors and actresses. More from the red carpet and some of the winners and presenters. 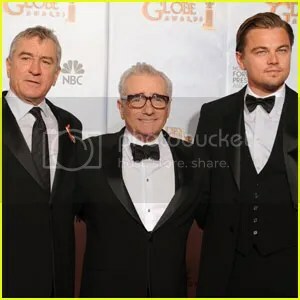 The best moment of the night had to be for Scorsese who was presented his award from Robert De Niro and Leonardo DiCaprio. Ricky Gervais hosting the awards which will be an experience, I will keep updating this blog post as the show goes on. The opening speech he headed straight for Steve Carrell with jokes about “The Office” and plastic surgery. Very good opening jokes which seemed to go down well with his audience. Nicole Kidman is the first up presenting best supporting actress in a motion picture. Which goes to . . . Mo’Nique for Precious. First speech of the night is a very emotional one with tears and dreams being reached, a rather long speech. Toni Collette won best actress in a tv show comedy/musical. ooo Robert De Niro is there !!! Sir Paul McCartney presents best animated feature and is rather amusing, which has a great shot of Julia Roberts laughing. Ricky Gervais saying we have had some worthy winners and some not so worthy winners. Plugging his own film. Felicity Huffman who decided she messed up what she was saying so started over. She has totally lost what she’s trying to say. Best actor in a TV series drama goes to . . . Michael C. Hall for Dexter. Best actress in a TV series drama goes to . . . Julianna Margulies for The Good Wife. Just spotted Mickey Rourke kissing Mike Tyson. Harrison Ford introduces Up in the Air. Cher and Christina Aguilera presenting the best original song . . . The Weary Kind from Crazy Heart. Best mini series or tv movie presented by Amy Adams and Josh Brolin. Goes to . . . Grey Gardens. Something that always amuses me about the Golden Globes has to be how difficult it is for the winners to get onto the stage if they are not on one of the tables right next to the stage. Tom Hanks introducing Julie & Julia. Colin Farrell who looks very good I might add. Presenting best actress in a comedy or musical . . . Julia Roberts is sitting next to Paul McCartney. Meryl looks embarrassed with both of her nominations. Goes to . . . Meryl Streep for Julie & Julia. She wants to change her name to T-Bone . . . T Bone Streep hahaha. I really do love Meryl the more I see her, she really is just brilliant. Awww she got rather emotional talking about her mother and how she is really grateful for everything. Kevin Bacon won best actor in a mini series or TV movie for Taking Chances. Drew Barrymore won best actress in a mini series or TV movie for Grey Gardens. Cameron Diaz introducing It’s Complicated. Jennifer Aniston and Gerard Butler presenting best screenplay for a motion picture . . . Up in the Air. I am so pleased about this!!! Also Gerard Butler was very cute not letting Jennifer Aniston see the paper then saying I’m not telling you haha. Jason Reitman got rather emotional towards George Clooney. Jennifer Garner and Ashton Kutcher present best actor in a comedy/music on TV . . . Alec Baldwin won for 30 Rock, but he wasnt able to attend the awards. Samuel L. Jackson introduces Inglourious Basterds. He then introduced Sophia Loren who got a standing ovation from the audience. Best TV series Drama . . . Mad Men. Taylor Lautner introduces (500) Days of Summer. Halle Berry presenting best supporting actor in a motion picture . . . Christoph Waltz for Inglourious Basterds which I think was a pretty obvious choice. Robert De Niro and Leonardo DiCaprio presenting Martin Scorsese with an award. Was brilliant seeing them on the stage together and talking about everything they have done in the films and what an impact he has had on films. Leo sees Marty as his friend and mentor, thats nice !!! Marty’s speech was just brilliant after seeing clips from his films. Everyone in the audience gave him a standing ovation, Kate Winslet and Julia Roberts lead the cheering which was great. You can tell that everyone respects Marty by the way they were watching him. Jodie Foster introduces The Hurt Locker. Mel Gibson is presenting after a very cheeky joke from Ricky Gervais about drinking. Director of a motion picture . . . James Cameron for Avatar. Could this be the first hint of the Oscar going to James Cameron too??? He thought his ex-wife was going to win it. Best TV series comedy/musical . . . Glee. Yes, I really was hoping that Glee would win this. It’s brilliant! All of the cast decided to get on the stage as well. Reese Witherspoon presenting motion picture comedy or musical . . . and the winner is The Hangover. Mickey Rourke (yay) presenting actress in a motion picture drama. He always seems so shy when he has to talk on a show like this. The winner is . . . Sandra Bullock for The Blind Side. Best actor in a comedy or musical . . . Robert Downey Jr for Sherlock Holmes. This is a bit of an outside win I reckon. I love him though he is brilliant. A very funny speech as well. I am really hoping that George Clooney is going to get the best actor award, will find out in a few seconds. Kate Winslet is presenting best actor in a drama . . . Jeff Bridges in Crazy Heart. Who got a standing ovation from the audience. They really let his speech be a long one !!! The last award of the night best motion picture drama !!! Presenting this my favorite Julia Roberts. She really does have a great smile. The Golden Globe goes to Avatar !!! Interesting I was hoping for Up in the Air. O well never mind, this will make the Oscars more interesting. DiCarprio . . . Scorsese . . . Its going to be good !! !